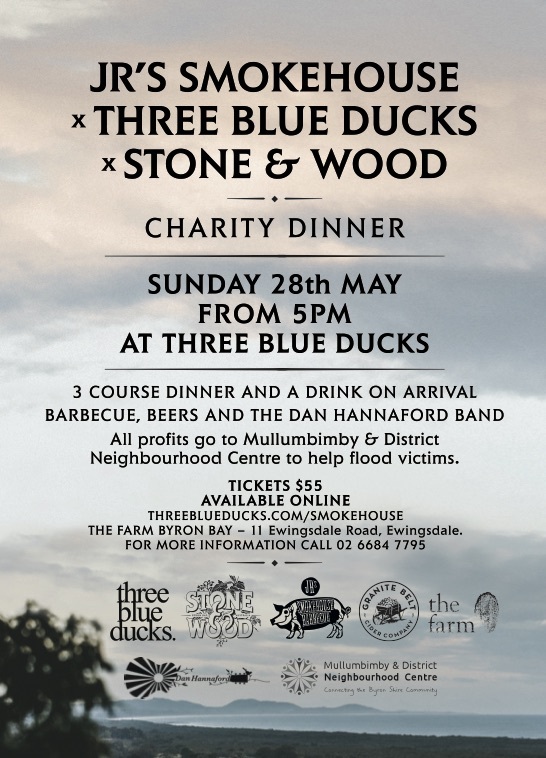 Our crew is teaming up with Three Blue Ducks and Stone & Wood to put on a BBQ dinner and help raise much needed funds for the community’s flood victims. There will be a feast of smoked meats and other dishes served with Stone & Wood beers and accompanied by the Dan Hannaford Band. The ticket price is just $55 and that gets you three courses and a beer on arrival – with all profits from the night going to the Mullumbimby & District Community Centre.